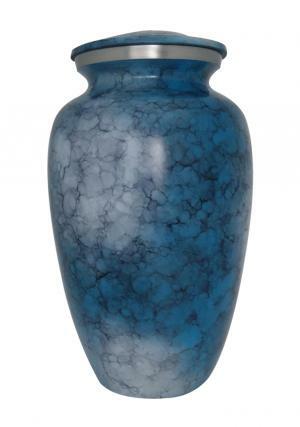 Beautiful urn hand crafted from high quality Aluminium metal with work from skilled professionals and engravings of blue iris enamel. 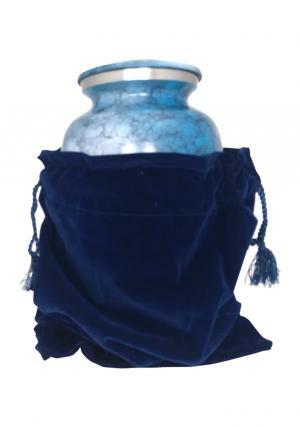 Large Adult Aluminium blue Iris urn ashes decorated of blue and white petals. 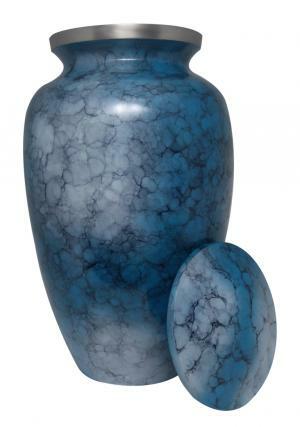 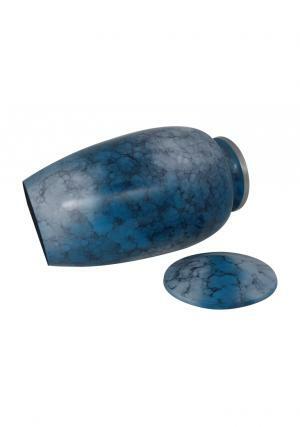 Blue Iris Aluminium Large Adult Urn for Ashes is decorated in 1.4 kg weight which stands 10.53 inch tall height, width of 6.3 inches and capable of 200 cubic inch ashes storage space.